This £50 gift voucher entitles the bearer to 2 personal training sessions with Wellman Fitness. See full description below for further details. 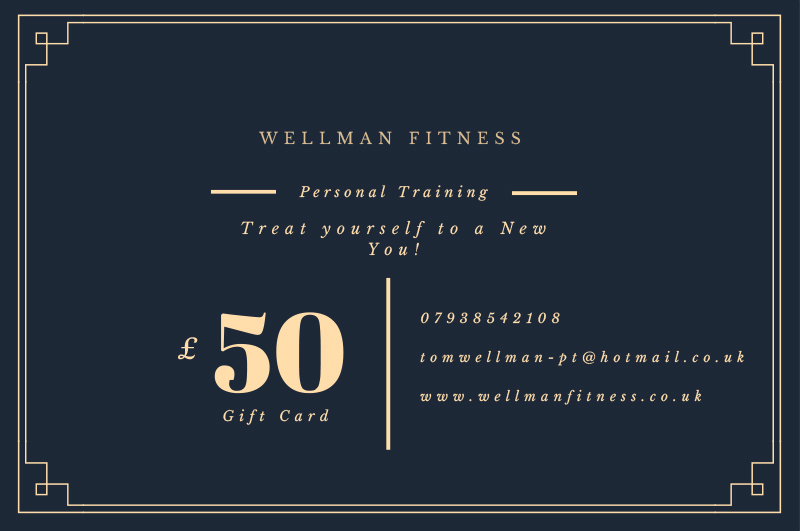 This £50 gift voucher entitles the bearer to 2 personal training sessions with Wellman Fitness. On making payment, the buyer will be granted access to a downloadable PDF file. This can be used by the buyer or printed/emailed to someone else as a gift. If given as a gift, the recipient just needs to contact Tom using the contact details on the voucher and confirm who bought the gift for them. Tom will then arrange the recipients 121 personal training.